These are my locations that are important to me. Because I have a lot of created memories there. the weather in Florida a is always good. Sometime rainy. When its rainy is really refreshing. But when it hot my god it like an outdoor sauna. The precipitation is about ten percent. The average temperature is about eighty-two degrees. The weather always affect everyone around you it can make them sick or it can make the very hot. 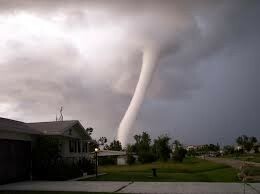 There are tornado in Florida all the time. They destroy everything in there path. We don't always have tornado but when we do its important to be prepared. Tornadoes create's disasters all over the place and it cost money to repair what happens. So it makes it very hard sometimes when the wind destroys your house. Have a open shelter ready to go to. Have flashlights with new batteries. The history of Florida can be traced back to when the first Native Americans began to inhabit the peninsula as early as 14,000 years ago. They left behind artifacts and archeological evidence. Written history begins with the arrival of Europeans to Florida; the Spanish explorer juan ponce de leon in 1513 made the first records. The houses of Florida are really good. But I live in apartments. But the houses have no basements because we live by water. But everything is cool. The famous thing that we have is football its all really good for some people in Florida. Well not just Florida places all over the world. The Florida gator is a vicious animal. One of the strongest for legged swimming reptile. I'm from Santos Domingo. I came to Orlando at age of four. I am a christian. Florida is a very good but dangerous place to live in. there a lot of wild life in Orlando, Florida. Google and Wikipedia were the only things I used to get this information.